At Morrey Mazda of the Northshore, we will make every effort to make sure you leave with the Mazda of your dreams without having to break the bank. We offer personalized financing solutions to each of our customers that make financing or leasing a new Mazda vehicle more affordable than ever. 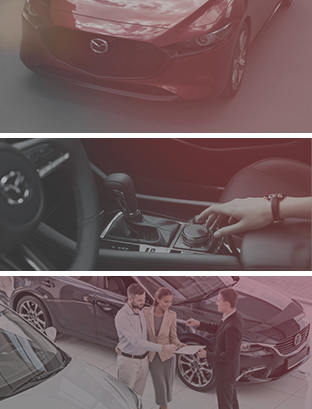 Once you have found the Mazda of your dreams, our team of financial services specialists will take the time to listen to your needs and expectations. They’ll customize an affordable financing or leasing plan tailored to you. We also offer our distinguished customers a wide range of protection plans and warranties that are more affordable than you’d think. We will take the time to explain every option so that you can make an informed decision. We also offer affordable financing solutions on the purchase of quality pre-owned Mazda vehicles. Everything will be explained to you in detail so there are no surprises. Find the solution that makes the most sense for your budget and lifestyle today. To learn more, reach out to us today at Morrey Mazda of the Northshore by dialling 604-676-6979 or through our website’s contact form.